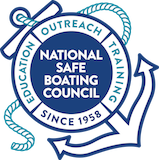 The National Association of State Boating Law Administrators (NASBLA) is pleased to announce the regional winners of the Boating Educator of the Year Award. Sponsored by Fresh Air Educators and Kalkomey, the Boating Educator of the Year Award recognizes those who go above and beyond to engage students and boaters, raise awareness, and make boating education initiatives relevant, thorough and exciting. Winners were selected from the Northern, Southern and Western regions. During its 59th annual meeting, held in Indianapolis, Indiana, Sept. 9 -12, 2018, the National Association of State Boating Law Administrators presented its prestigious national Boating Educator of the Year award to Liz Lodman with the Montana Fish, Wildlife and Parks. Read more from NASBLA.org.